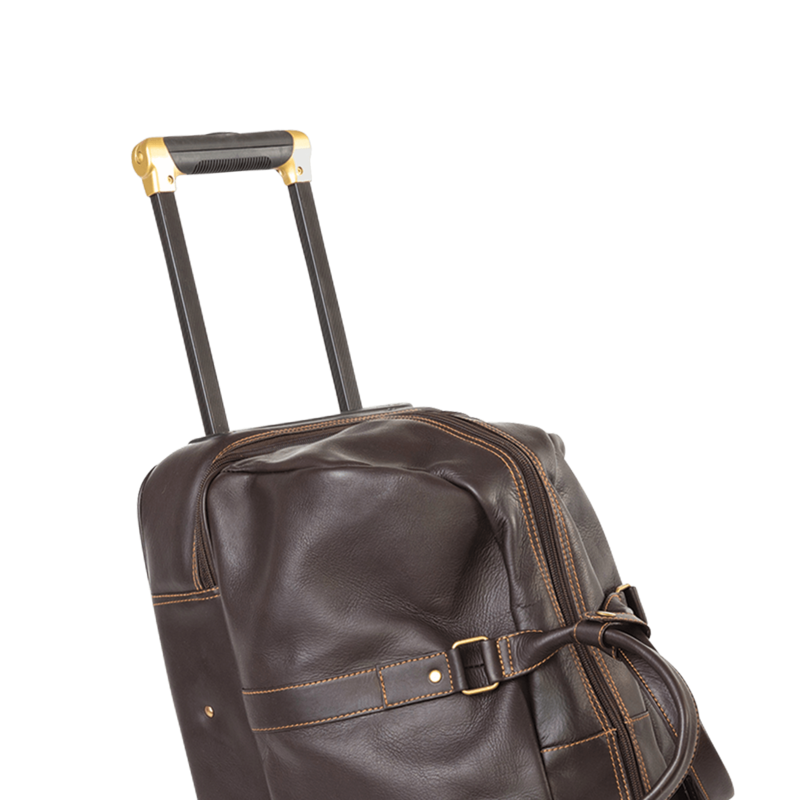 A perfect combination of a classic duffel with the ease of gliding wheels. This duffel offers a large spacious interior with a structured base zippered compartment. Large enough for a weekend away, but small enough to carry on.